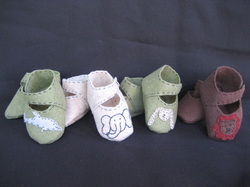 Collection of hand made booties from recycled materials. 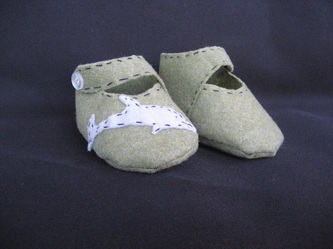 Made from Eco-Fi felt that is a recycled material made from 100% post consumer plastic bottles. 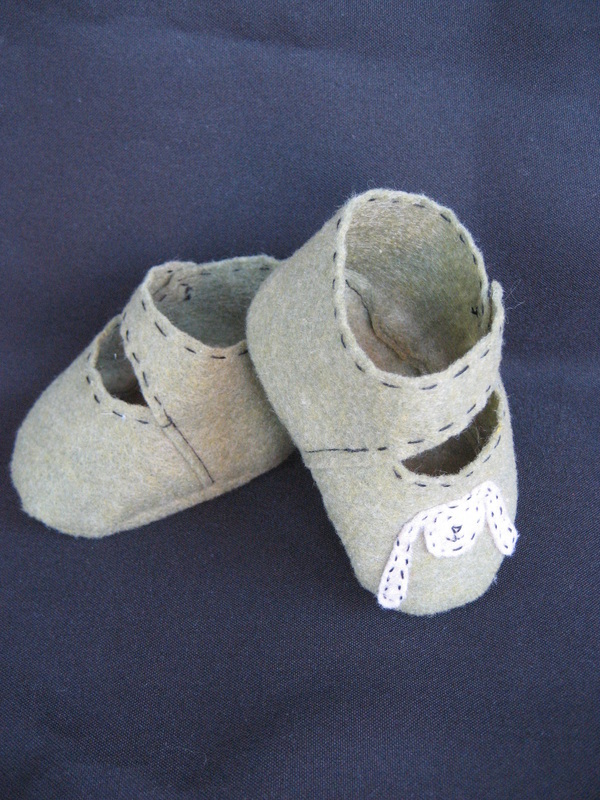 It is made in the USA and the booties are too. 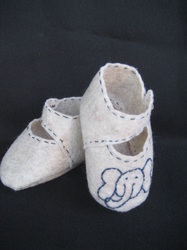 All hand made and stitched using cotton threading. Ready to help take those first steps in comfort and style. 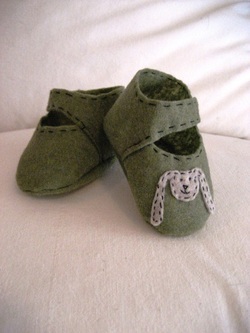 Our booties are made in theme with our Eco friends! 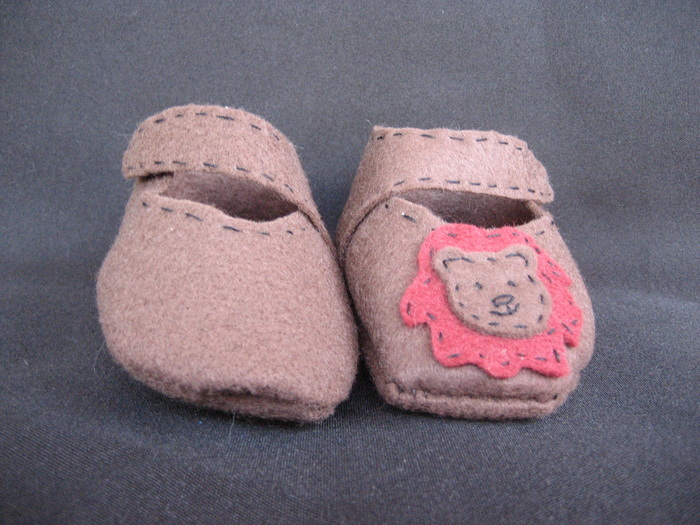 you are able to walk-a-bout in your lovely lion booties, and carry your courageous lion Eco friend. Many items on this site all blend together. For purchasing please visit our online independent shop with ETSY: www.earthenchild.etsy.com, you can also place orders directly with us info@dl-couture.com. Each booty is $18.00 or you can buy a set of three for $45.00. We currently have 4 styles / designs to choose from. Additional views of all booties are loaded into a photo album at the bottom of this page. 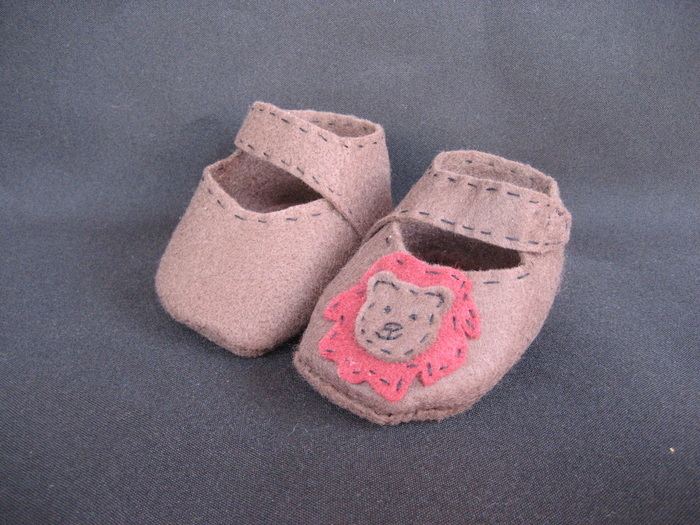 Perfect for the infant explorer, roar through the day in your lovely lion booties. Cushions the feet and looks adorable as well. 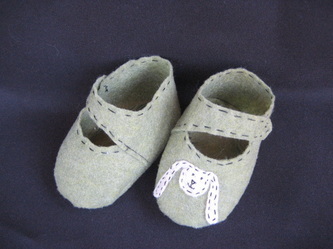 Hop along happily with our bunny booties ready for adventure! 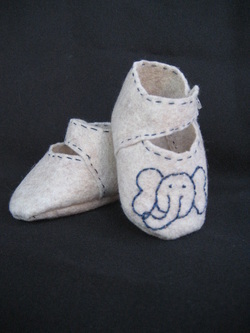 Bravely take those first step with our earthly elephants, our only pair that features the animal designed with hand embroidery. 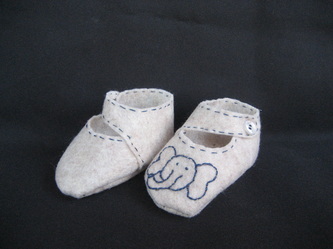 Made with play in the sand light biege and accented with blue cotton threads. These are soft and comfortable. Closure is small dots of velcro for easy on and off, no fuss. Button detail is added, but closure is velcro. 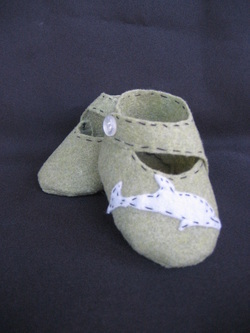 Venture into the oceans of life with our Daring Dolphin booties. 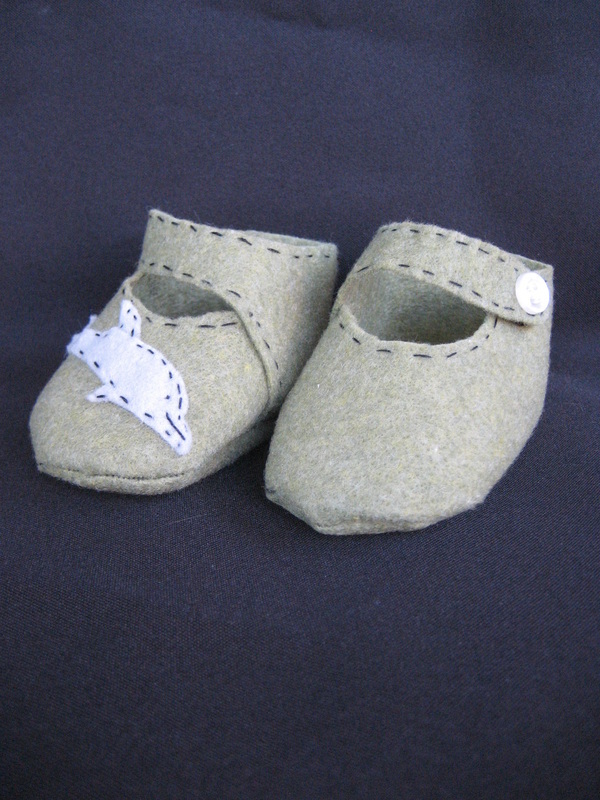 Made with earthly green base and gray, detailed with black cotton threads. These are soft and comfortable. 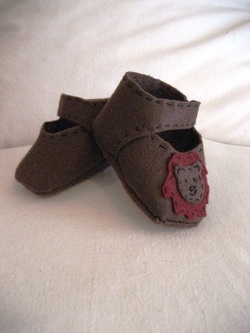 Easy on with velcro closure, and recylced/reclaimed button detailing.